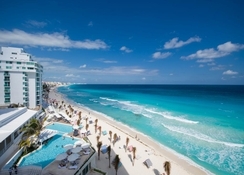 Oleo Cancun Playa All-Inclusive Boutique Resort is a luxurious 5-star resort, where you will rediscover ultimate luxury. The resort offers an all-inclusive plan to its guests that covers three specialty restaurants, an international buffet, two bars, a snack bar and premium drinks. The rooms in this hotel are strategically designed keeping in mind the preferences of different travellers. Most of the rooms come with fantastic ocean views, which will let you gaze the waves from start to finish. You can get in touch with your inner senses at the Nuup Spa, where a team of professional hands will make you have a heavenly experience. 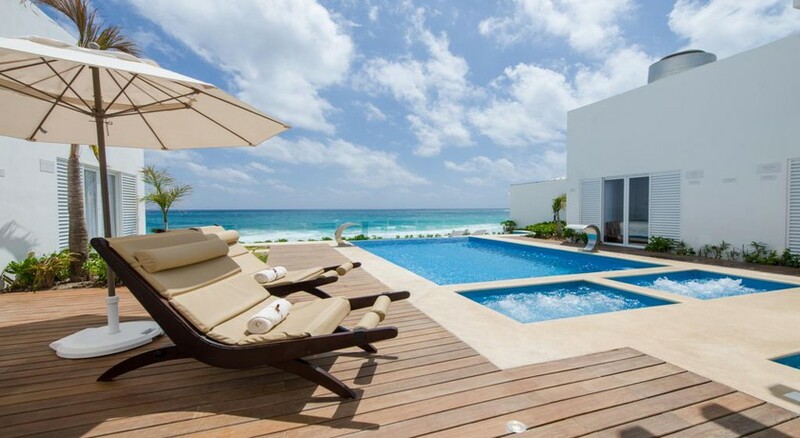 Oleo Cancun Playa All-Inclusive Boutique Resort is located in Zona Hotelara, Cancun, Mexico. 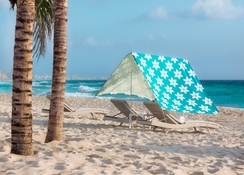 Some of the places of interest near this resort are Playa Delfines Beach (1.7km), Coco Bongo Cancun (10.8km), Iberostar Golf Club Cancun (3.1 km), Manta Divers Cancun (4.3km), Mayan Museum of Cancun (3.5km), Cancun Scuba Centre (16.9km), Parasail Cancun (14km) and many more. The Cancun International Airport is only 12.3km from the resort, making it convenient for the guests to board their flights on time. 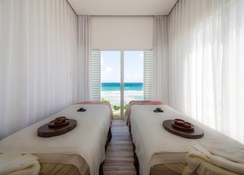 If you are looking for uncompromising luxury with a fantastic view of the Caribbean Sea, then you don’t need to look further than Oleo Cancun Playa All Inclusive Boutique Resort. The rooms here are nicely decorated, making your vacation one of the most memorable one. 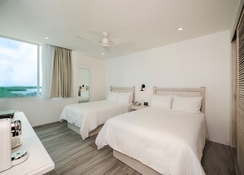 The rooms and suites are categorized as Standard Double, Standard King, Standard King 180◦ View, Sunset Superior, Superior Ocean Front, Inspira Sunset Junior Suite, Inspira Junior Suite Ocean View, Inspira Romance Suite and Inspira Master Suite. All the rooms and suites have luxurious services and amenities to delight you that include Apple TV, laptop sized safe, mini-bar, free Wi-Fi, in-room service and much more. At Oleo Cancun Playa All-Inclusive Boutique Resort, you will have a remarkable culinary experience that will drive you beyond conventional all-inclusive programs. Let the chef be your guide at the Hakka Restaurant that serves Japanese specialties, sense the conventional flavours of the Mediterranean cuisine at the Amlar Restaurant, while admiring the beautiful Caribbean Sea, hit the Azul Restaurant to discover wide-ranging Mexican dishes and wines and conquer your palate. For further night carvings, you can hit the same restaurant. The sports and leisure facilities at the hotel are simply awesome! Take a dip into the outdoor swimming pool and relax on the sun loungers, while having refreshing drinks. 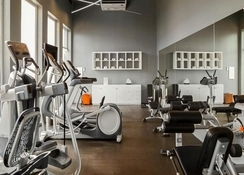 Those who want to stay active can hit the state-of-the-art fitness centre. 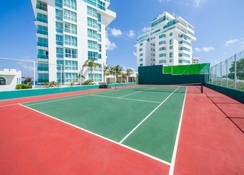 The hotel also provides tennis court access to its guests. Apart from this, the hotel organizes many theme parties, where you can have fun and socialize with other guests. Environmental Sanitation Tax of 2019.This new tax must be paid upon arrival on the check-in. Each guest must informed about this additional charge of 24.18 MXN (approximately 1.22USD) per room, per night.